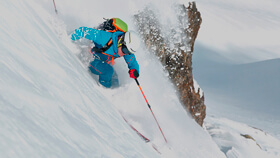 The following general conditions of sale govern any purchase transaction concluded on www.dynafit.com (hereinafter the “Website”) between Ober Alp Spa with its head office in Via Waltraud Gebert Deeg n. 4, 39100 Bolzano (BZ) Italy VAT no. IT 00122250210 and registered at the company register under REA BZ 71005, e-mail: support_it@dynafit.com, Tel. +39 02 94751983 (hereinafter, “Seller”) and any person, who places an order for the Seller’s products through the Website for his/her personal use and not for any commercial or business activity (hereinafter “Customer”). 1.1 The subject of these general conditions, which are provided to the Customer for copying and retention pursuant to Article 12 of Legislative Decree no. 70 of 9 April 2003, is the sale of the Products online through the Website belonging to and operated by the Seller. 1.2 These terms apply to the online sale by the Seller and online purchase by the Customer, respectively, of the Products. 1.3 Key details of the products are illustrated and described on the Website, which provides an accurate, truthful, correct and not misleading description of each Product. Due to technical limitations of the Website, the photographs accompanying a product may not be perfectly representative of its characteristics and the products may differ slightly from those shown on the picture. b) Purchase in “guest” mode, i.e. with no requirement to register an account. A temporary identifier will be generated and will only be used to complete the online purchase. By using “guest” mode, the Customer’s personal data will not be saved and stored for subsequent purchases. The Customer, however, will have the option to create and register an account after completing the purchase. c) Completion of the purchase procedure pursuant to art. 3. 2.2. The Customer shall not enter false and/or invented and/or incorrect data during the registration process. The Customer shall not use personal data, including e-mail addresses, of third parties without their consent or imaginary data or e-mail addresses during the registration process. The Customer remains entitled to purchase the Products on behalf of third parties and may indicate a different delivery name and address from his/her address. The Customer is solely responsible for the accuracy and truthfulness of the data provided. 3.1 The Customer shall put the Products he/she wishes to purchase in the digital cart of the Website. Before completing the order, the Customer may, at any time, change the Products placed in the cart. By clicking on the button “checkout” or “proceed to checkout”, the Customer shall proceed to complete his order and will have the option to log-in or create an account or to continue in “guest” mode, as specified under art. 2. 3.2 The general conditions of sale shall be reviewed online by the Customer before completion of the purchase process. 3.3 By ticking the box(es) positioned immediately above the "CONFIRM PURCHASE" button the Customer shall be deemed to have read and accepted the general conditions of sale. 3.4 By clicking on the “CONFIRM PURCHASE” button, the Customer confirms his/her purchase order online and unconditionally accepts and agrees to be bound by these terms and conditions, and agrees that no other terms and conditions shall apply to the purchase unless agreed in writing with the Seller. Before completing his/her purchase, the Customer may correct and amend any personal data (name, address, etc.) provided. 3.5. The Customer’s order is deemed to be an offer to the Seller to purchase the Products ordered. The e-mail sent by the Seller upon receipt of the order and containing a summary of the same, does only constitute a mere acknowledgment by the Seller that the order has been received. The contract is considered to be concluded once the Customer receives a formal order and dispatch confirmation by e-mail, which should occur within forty-eight (48) hours from the receipt of the order by the Seller. This confirmation e-mail constitutes the Seller’s acceptance of the Customer’s order and the Seller shall be bound to sell and deliver the Products. Either in the confirmation e-mail, or otherwise by a subsequent e-mail confirming dispatch of the products, the Customer will be sent a document in pdf or similar format summarizing the terms and conditions of sale and/or a hyperlink to the terms and conditions of sale, in order to enable the Customer to retain a permanent copy of these terms and conditions. The Customer is advised to print out and retain a copy of the general conditions as well as a description and specification of the Products purchased. 3.5 The Contract shall be deemed concluded in the place where the head offices of the Seller are located. Except where the Seller is prevented from performing this contract due to events beyond its control, the Seller undertakes to supply the Products ordered by the Customer, subject to availability pursuant to art. 5, upon payment of the Final Price by the Customer. 4.1 The retail prices of the products (hereinafter “Retail Price”) shown on the Website shall be expressed in Euros. The Website shall clearly indicate the Retail Prices for each product and the way to calculate the total price of the purchase. The total price of the purchase (hereinafter “Final Price”) will consist of the sum of the Retail Price and the cost of dispatch and delivery of the products by couriers and/or carriers engaged by the Seller. The Customer acknowledges to be aware that by confirming the purchase order he/she will be bound to pay the Final Price once the order is confirmed by the Seller. The amount owed to the Seller may also be paid—totally or in part—through the use of vouchers, gift certificates or other similar means issued by the Seller and/or by authorized third parties. The seller has the right to verify the validity of the vouchers, gift certificates or other similar means. 4.2 The Retail Prices and Final Prices are inclusive of VAT and any other applicable taxes. The delivery charges are included and specified in the Final Price and, unless otherwise specified and barring special promotions occasionally offered by the Seller, shall be borne by the Customer. The Customer will be told the Final Price before he/she is asked to confirm the order by clicking on the “CONFIRM PURCHASE” button. 4.3 If Products are to be delivered outside of the EU, the Customer may be subject to import duties and taxes, which will be levied once the Products reach their destination. Any charges for customs clearance and/or for any taxes levied shall be borne by the Customer. The Customer is advised to contact his/her local customs office for any necessary information. The Customer is deemed to be the importer of the Products and must therefore comply with all relevant national law and regulations of the country in which the Products are delivered. 4.4 Despite the best efforts of the Seller, some Product(s) on the Website may be mispriced. Upon receipt of the order, the Seller will verify the pricing before taking payment. If, with the exception of promotional sales, the actual Retail Price, i.e. the price the Seller has decided to charge for a specific Product, is higher than the Retail Price shown on the Website, the Seller will contact the Customer to inquire whether the Customer wants to purchase the Product at the correct Retail Price. If the actual Retail Price is lower than the Retail Price on the Website, only the lesser amount will be charged and the Product(s) will be delivered. 5.1 The Seller shall use its best endeavours to keep the Website as updated as possible with regard to the availability of Products and shall check, before sending the formal confirmation pursuant to art. 3.5, the availability of the selected Product(s). The Customer expressly recognizes the option of the Seller to only partially confirm the order, since it may, nonetheless, occur that some or all of the selected Product(s) ordered by the Customer are not available. In that case, the contract will only be concluded for the Product(s) actually available and confirmed. 5.2 Should some or all Product(s) ordered be unavailable, regardless of whether the Customer’s order has been already confirmed, the Seller shall without delay contact the Customer and only the available Products will be delivered. The Retail Price for the unavailable Products shall be reimbursed and/or restored to the Customer’s credit card or PayPal balance within 14 days. Should all the products be unavailable, the Seller shall also reimburse and/or restore the delivery charges. A) online using a Visa and/or Mastercard credit card. The amount of the purchase shall be deducted from the balance available to the Customer at the time the order is confirmed by the Seller and will be subsequently debited when the order is dispatched. Please note that during the payment procedure by Visa, MasterCard, the competent bank may require the entry of a PIN or password at the time of payment. If this PIN or password is not known to the Customer, he/she is asked to contact his/her bank. B) online through the Paypal payment system The amount of the purchase shall be deducted from the balance available to the Customer at the time the order is confirmed by the Seller and subsequently debited when the order is dispatched. Please note that during the payment procedure Paypal requires entry of a PIN or password at the time of payment. If this PIN or password is not known to the Customer, he/she is asked to contact his/her bank. 7.1 The Seller shall deliver the Products, which have been ordered by the Customer and confirmed by the Seller, to the Customer at the address provided by the Customer in the purchase order, by means of couriers and/or carriers engaged by the Seller. Delivery will take place immediately after the Seller receives payment of the Final Price, as indicated in the confirmation e-mail sent to the Customer, and in any case, provided that the payment of the Final Price will be received, within 30 (thirty) days from the date of receipt of the confirmation e-mail by the Customer. 7.2 Should the Customer be absent at the time the goods are delivered, the courier or carrier will leave a notice with details to contact the courier or carrier to agree on a second delivery. 7.3 Upon receipt of the Product(s), the Customer shall verify that the packaging and the Product(s) are intact and that the Product(s) delivered correspond to the Product(s) indicated in the order confirmation. The Customer shall also immediately report any tampering or damage to the packaging and the Product(s). The Customer is advised to inform the Seller of any problems regarding the delivery of the products, in order for the Seller to improve the quality control over the services supplied, directly and/or through third parties. 8.1 The Seller assumes no responsibility for late or non-delivery of the goods due to causes of force majeure such as accidents, explosions, fires, strikes and/or shutouts, earthquakes, floods or other similar events that totally or partially hinder execution within the time indicated under art. 7.1 or otherwise agreed in writing between Customer and Seller. 8.2 The Seller shall not be responsible towards the Customer, except in cases of willful intent or gross negligence, for lack of availability or malfunctions related to the use of the Internet that are outside the control of the Seller. 8.3 The Seller will not be responsible toward any party or third party for damage, losses and costs sustained as a result of failure to comply with the provisions of the contract for the reasons mentioned in this article, and the Customer is only entitled to a refund of any amount paid. 8.4 The Seller assumes no responsibility for the fraudulent, illicit or unauthorized use of credit cards or other methods of payment by third parties, if it demonstrates that it took all the possible precautions according to the best practice and experience at the moment of purchase and based on ordinary diligence. 8.5 The Seller shall have no liability for the erroneous issue of accounting and tax-related documents and for delays and/or not executed deliveries or for any additional costs sustained by the Customer due to false, incorrect or imaginary data provided by the Customer. 8.6 The Seller shall not be liable, except in cases of willful intent or gross negligence, for the unavailability of any Product. 9.1 In the event of questions, complaints or suggestions, the Customer may contact the Seller at the e-mail address: support_it@dynafit.com, or at Customer Care through the specific form available on the "Contact Us" page of the Website. 9.2 If the Product(s) delivered are faulty or do not correspond to their description contained on the Website, the provisions of Legislative Decree no. 206 of 6 September 2005 shall apply and the Seller shall be liable towards the Customer for a period of two (2) years from the delivery of the Product(s), for any fault of the Product(s) or any non-correspondence to the description contained on the website at the time the Products were ordered. 9.3. The Customer may request to have the Product(s) brought into conformity free of charge by repair or replacement. If repair or replacement are impossible or excessively burdensome for the Seller and/or if the Seller has not provided repair or replacement within a reasonable amount of time and/or if a previous repair or replacement has caused significant inconvenience to the Customer, he/she may request a reduction of the price or have the contract rescinded. Art. 130 ff. of Legislative Decree n. 206/2005 applies. 9.4 Any faults and non-correspondence must be reported within two (2) months from their discovery, otherwise the Customer shall lose his/her warranty rights. 10.1 Without prejudice to of the Customer’s rights under art. 9, the Customer shall be entitled to withdraw from the contract concluded between the Seller and the Customer without giving any reason within 30 days from the day on which he/she or a third party indicated by him/her (other than the carrier or the courier) receives the last of the Product(s) purchased. Should the Customer decide to return the products invoking his/her right of withdrawal, he/she shall notify the Seller within the time period specified under art. 10.1, using the cancellation form available here (link to the PDF Form) sending the filled-in form via e-mail to support_it@dynafit.com or through the procedure specifically indicated by Customer Care or by presenting any other clear declaration of his/her decision to withdraw from the contract. 10.2 The burden of proof regarding the exercise of the right of withdrawal, as set forth in this article, shall rest with the Customer. To meet the deadline set forth under art. 10.1, it is sufficient that the communication of withdrawal is sent before the cancellation period has expired. 10.3 If the Customer exercises his/her right to withdrawal, he/she shall return the Product(s) to the Seller at the following: Oberalp Spa, via Waltraud Gebert Deeg 4, 39100 Bolzano, Italia. The Customer shall bear all expenses for returning the Product(s) to the seller, unless otherwise agreed between Customer and Seller. The Product(s) shall be sent to the Seller within 14 days from the day on which the Customer communicates the withdrawal from the contract to the Seller. 10.4 The Seller shall reimburse, in case of withdrawal from the contract, the Retail Price received for the Product(s) purchased and the delivery costs for the least expensive delivery type offered by the Seller within 14 days from the day on which the Seller has received the communication of withdrawal from of the contract. For the reimbursement, the Seller shall use the same method of payment used for the purchase, unless otherwise agreed with the Customer. The reimbursement does not entail any fees at the expense of the Customer. The Seller may not proceed with the reimbursement unless the Seller receives the Product(s) back or receives evidence from the Customer that the Product(s) have been sent back, whichever is the earliest. 10.5 In order to have the right to a full refund, the Product(s) must be returned intact in their original packaging. The Customer is only entitled to use the Product(s) to the extent necessary to check whether the Product(s) comply with their description and function as expected. The Customer is liable for any loss of value of the Product(s) due to the use of the Product(s) by the Customer which exceeds the legitimate use as described under this clause. In such a case, the Seller is entitled to make a proportionate deduction of the refundable amount, which takes into account the loss of value as described above. 10.6 The Customer’s right to withdraw from the contract shall not apply to contracts regarding the purchase of Product(s) which are made to measure or clearly personalized or which by their nature cannot be returned without risk of rapid deterioration or alteration. 11.1 The Customer shall be entitled, without prejudice to his/her rights to withdraw from the contract, to return the products, for any reason, by completing the online form provided, within a period of thirty (30) days from the date of receipt of the last of the Product(s) purchased by the Customer, or by a third party nominated by him/her, other than the courier and/or carrier. The thirty (30) day period is a minimum and the Seller may, at any time, at the Seller’s discretion, grant the Customer a longer period of time to return the products. 11.2 The Customer may only return Product(s), which are complete and in unused and undamaged state. 11.3 Returns must be returned to the Seller at the following address: Oberalp Spa, via Waltraud Gebert Deeg 4, 39100 Bolzano, Italia at the Customer's expense without undue delay. 11.4 Upon receiving the returns, the Seller shall immediately check the goods in order to be able to confirm to the Customer that the return has been accepted. 11.5 The Seller shall reimburse the Retail Price for the Product(s) returned as soon as possible and in any case within 14 (fourteen) days from the receipt of the Product(s) by the Seller. The Seller shall not reimburse any delivery costs incurred by the Customer. 12.1 Except for examples expressly set out above, or where required by law, the Seller and the Customer shall communicate primarily through e-mail messages, which both parties acknowledge and agreed is a valid medium of communication. The Seller may also contact the Customer, either via Customer Care or through its third party logistics operators, for the purposes of dealing with the purchase of the Customer and the delivery or return of the Product(s), using the telephone number provided by the Customer. 12.2 Written communications to the Seller, as well as any complaints, shall be deemed valid only if they are sent to the following e-mail address: support_it@dynafit.com. 12.3 Both parties may change their e-mail addresses at any time for the purposes of this article, provided that they notify the other party promptly using the existing e-mail addresses known to the parties. 13.1 The Customer expressly declares that he/she has read and accepted the statement on the processing of personal data of the Seller http://www.dynafit.com/privacy/. 14.1 In the event of any disputes under or in connection with this Agreement, the parties agree to try to resolve disputes amicably between themselves. 14.2 In case of disputes between the Seller and a Customer, which is considered also to be a consumer for the purposes of the application of EU Directive 524/2013, regarding contractual obligations deriving from the sales contract concluded online between the Parties, the Seller informs that the European Commission has developed and offers an Online Dispute Resolution Platform (ODR Platform) in order to resolve out-of-court contractual disputes between the Seller and the Customer-consumer. The ODR platform is accessible through the following website: http://ec.europa.eu/odr. By using the ODR platform, the Customer-consumer may submit a complaint regarding the online sales contract concluded with the Seller. The aforementioned website http://ec.europa.eu/odr contains all the information necessary for the Customer-consumer regarding the filing of a complaint and the procedure to follow. 14.3 If any dispute has not been resolved out-of-court, the dispute shall be referred to the jurisdiction of the courts of Bolzano (Italy). If the Customer falls within the definition of a “consumer” pursuant to Legislative Decree n. 206/05 and is domiciled within an EU-Member State, the Customer may also initiate proceedings relating to the contract concluded with the Seller in front of the competent court of the EU-country in which he/she lives. 15.1 The contract shall be governed by Italian law. 16.1 The provisions contained in this general conditions of sale nullify and replace any prior agreement, understanding or negotiation, written or verbal, between the parties concerning the purchase of the Products ordered. 16.2 Should any clause be found unenforceable, this shall not invalidate the entire contract. 16.3 The contract for the purchase of the Products will be concluded in English. 16.4 The Seller may amend these General Conditions of Sale at any time. The contract concluded between the Customer and the Seller will be governed by the General Conditions of Sale in force at the time of conclusion of the contract between the Customer and the Seller. ACCEPTANCE OF THE GENERAL CONDITIONS BY OF THE CUSTOMER Pursuant to articles 1341 and 1342 of the Civil Code, the Customer declares that he/she has carefully read the general conditions and expressly approves the following clauses: Article 5 (Availability of products) Article 8 (Limitations of liability), Article 14 (Legal jurisdiction), Article 15 (Applicable law).